Red, White and YOU Celebration in July at the Cosmetic and Plastic Surgery Center! During the month of July, all Botox and Xeomin products are offered at a special discount. $10 per unit for Botox and $8 per unit for Xeomin. 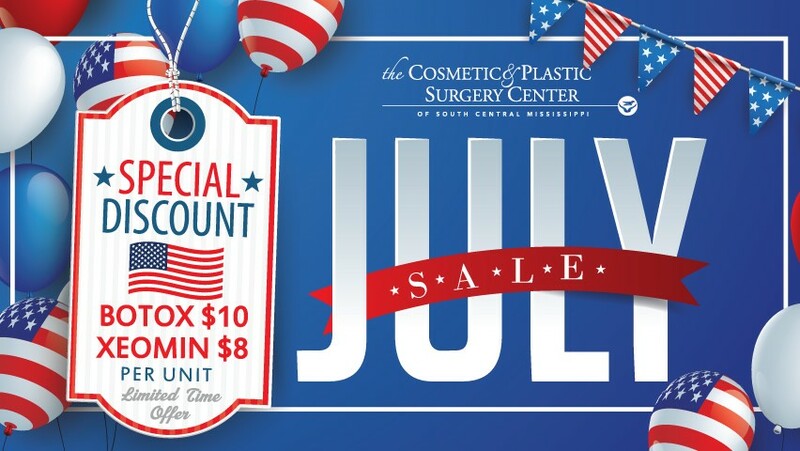 To take advantage of this special, please call the Cosmetic and Plastic Surgery Center at 601-425-7522 or visit the center at 1410 Jefferson Street in Laurel, Monday – Friday, 8 a.m. – 5 p.m.